Bloggers do publish CommentLuv Enabled Blogs on their blogs but most of them are of no use, since you are writing on a particular niche, and niche bloggers never ever publish to make a new competitor. So, you tired of locating commentLuv enabled blogs to insert your desired Links? Even not a single software is available to search latest commentLuv enabled blogs. So! Where is the solution. Before we start, download and install Free Tools To Search High Quality CommentLuv Enabled Blogs. I basically use this toolbar to determine alexa rank, Google Page Rank of any website. The beauty of this toolbar is it can Give us exact alexa and page rank even in Google Search Result. This extension is basically used to show the nature of links available on any website/blog. Here is a typical extension showing do-follow links in Pink color and no-follow links in blue background. Google is one of the best tool to search information on the internet. Even it can help us to find out CommentLuv enabled sites or Keyword Enabled Sites. The point is “KEYWORD” may be short keyword or Long Tail Keyword. write down at-least 5 to 10 keyword may be short or long tail and it’s related synonyms ( Synonyms and Typographical Error may also bring a lots of traffic). Before we began our journey to find out commentluv Enabled blogs, it is very necessary to know how we will search the relevant blog and forums on Google. site : If you want to search any specific information from a particular domain then it is used. Rather than supplying a single domain, we will supply only the TLD of the domain. Above Google Search Query may Bring a lots of Targeted blogs in front of you. 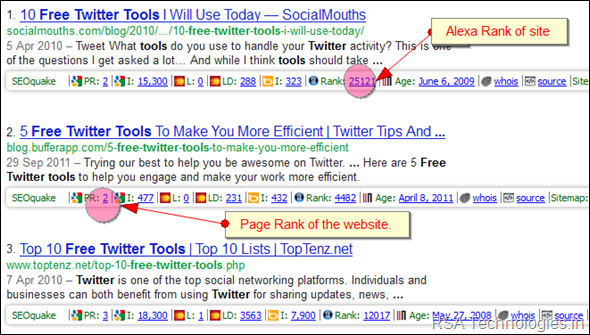 Now the installed SEOQuake Toolbar show the alexa and PR of each result. Now if you further want to search do-follow blogs. Now open your favorite browser ( my favorite –firefox ). 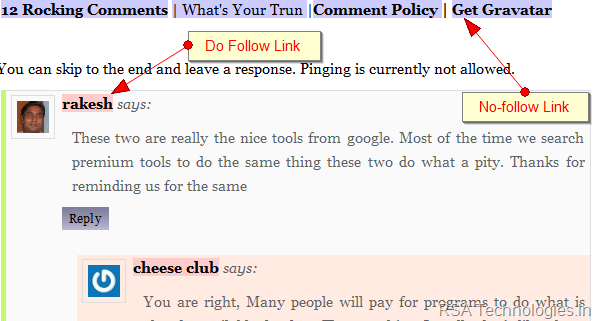 Issue your do-follow plugin and it will show you whether the blog is publishing do-follow links or not. Only do-follow links for your blog may make search engine little bit cautious. Pro Link Builder thus also try to attain simple one-way links to their website. Easiest method to search relevant blog and forums can help you to locate niche blog and forums to insert desired link with niche anchor Text. This is now more important in the post Google Panda Update. What other methods do you use to find out relevant commentLuv enabled blogs and forums to attach good quality links? Do not hesitate to share your idea on this method. Super and very uswful article..Thanks to shared with us! Exactly what i have been looking for. Thanks a lot. Thanks so much for this blog post Rakesh. I have not tried it yet but using it with SEOQuake to instantly see the influence of a particular website seems to be *so* useful! i personally use SEO Quack Toolbar. tool provide lots of information of any website and help me to build good backlinks. i don’t know about do-follow plugin. i surely try this tool in future. I used SEO Quack Toolbar. This is one of the best and very useful tool. With one drawback that it is very heavy and it hangs the system too. But Still very useful. This gives almost every information. Useful and well written post. Thanks for the share. I downloaded almost all of the tools above and some of them are really helpful. Especially SEO Quake Toolbar. Awesome, i was searching for ways to create the follow comments, because these type links are getting really hard to get, thanks rakesh for the info, it’s difficult to find a really worth reading website. Thanks for sharing this article, with great helpful content. I will come back again. Thanks for sharing this article. However, commentluv blog commenting are still working in 2017? And i searched photography + “KeywordLuv is Enabled”. I am not able to find blogs related to my niche. Awesome article. Great helpful content, I will revisit this page to recheck and reconfirm that I am on the right track. Will be looking forward for more posts like this from your blog. Thumbs up for providing such great information. I was not aware one could use an extension to determine the nature of links in a website. I have tried it and its working like a charm. And before I go, the google query technique was awesome. I compiling my results for later use. Hi Jason, Thanks for your feedback on this article and enjoy new ranking. Excellent tools. I was unaware of these do-follow finder extensions and some of the tips shared. There is so much information in this content that I have to come back again and again on this page to recheck and reconfirm that I am on the right track. Will be looking forward for more knowledge-heavy articles like this from your blog. It’s really an informative post. It helps me to find blogs for comments and achieve my SEO goals. Great Post Ever to Find comment Luv Enabled Blogs. best information to find commentluv blogs and keywordluv blogs in google thank you for this infornation. I am actually confused.I have searched with my keyword but I havent found any related keyword site.can you please tell me that in the chart of query where you say keyword should i use my keyword?? Seriously this is the first time I came across such method to use and find comment luv in an effective way possible. Worth a share. Keep up the good work. Thank you. Loved the method. Will use to find blogs related to my niche. I am searching for How to create Do-follow Backlink and what is more powerful link building between do-follow and no-follow? another question is : what should be the anchor text of a comment ? Hi Debashish, Both Do-follow and no-follow links are important for your website. Though it is considered do-follow links give you more link juice to you but if you will acquire only do-follow links then this will be considered as spam links thus it is always suggested that the link distribution must be equal. iam searching for dofollow backlinks. and i did not find any post regarding this so far.but here i found some key points to get success.thank you for the post. Hey thanks for the information and the google search queries to find commentluv blog posts. Commentluv always gives us quality backlink.This is the best plugin for any site.There are many tools to find dofollow and nonollow backlink. Thanks for provide a good tips. Blog Commenting is very effective link building technique to get permanent backlinks for website and improve ranking. I love this way since it helps me to get backlink and make relationship as well. You have done good work to comping this blog commenting sites list. Great tips to find commentluv enabled websites. But why dont you install it? any issues? It increase the page load time, this is the only reason i do not install on shared hosting. This is a very great resource indeed. Hi walter, Even people install Commentluv to enhance the user interaction on their blog as this plugin place the last posted article link along with the user comment. Thank you for method. I think it’s good for my blog. Awesome Post,Actually I Am Little bit Confusion to find Do Follow Links after reading your article,i have idea about to find the do follow links,really awesome post..
Hi Viswa, that is your confusion about do-follow links? If you do not mind may i know that. I like this method of finding HQ do follow comLuv blog. Hey bro, that is what I was looking for. This is really good to manually find quality and dofollow commentluv blogs. It is going to help me out so one biggest thanks for you. this will be mine second article that got my attention upto now regarding seo, so now i’ve to target visitors, in many sites i’ve read about getting visitors through fb, linkedin twitter, but is that traffic healthy and i donno whether it is considered as spam while posting on fb and tagging many of users for my benifit…!! Hi Ajay, Social signal is a good signal but how much time you will spend on such sites. Commenting and guest posting is another good options to make permanent backlinks for your website. On top of that content marketing is the best among all the listed methods. I would recommend you to use magic submitter to do this simple task. That would help you to save a lots of time. All the tips and tricks are really of great use. Thanks for the useful blog! Hi John, Since google had not updated its page ranking thus the only factor you can consider about a popular blog is its alexa ranking thus people now a days check alexa and actual site users before posting good comment on any website. A well written comment always bring traffic to your website. This is a very simple rule. Keep in touch John. Yea comment luv is great and i love that it is open to everybody. Some nice tips there :) I usually find the best blogs to be from the people who’re commenting on a regular basis on my blog posts. Usually, that’s people who’re in the same niche and are focusing on networking. I also find great blogs from the people who comment regularly on blogs I read often (like yours). Hi Tim, They are the best if your aim is to just generate more page view but if you promoting something or selling something from your website then these type of visitor should not be your target. Visitors that come for any type of solution are the best type of visitor – as per our conversion they convert the best. Great article. Reading it makes me think about it.Really this is awesome work with the blog. It is very pleasure to get it as I got huge Helps right here. Hi Souvik., Happy to know that you find this article useful. Keep in touch for such wonderful ideas. Thanks for the post. very helpful and practical tips. That’s a very smart and simple trick, its much better than scanning through huge list of outdated dofollow list articles. Thanks for this smart tip. I found this post very helpful and now planning to follow each mentioned above steps. Thanks for posting this. I will try it. Google Search Query didn’t worked for event niche?? Commentluv blogs can be very good sources gaining dofollow links but I think point here to make is for some niche, you will not be able to find a lot of commentluv blogs. For example, you may get a big number of blogs for SEO niche but you might to get that number of blogs for Auto repair niche, keeping in mind that it is important to have links from niche relevant sites. I do know that Keywordluv enabled blogs provide dofollow backlinks but not all commentluv enabled blogs provides dofollow comments. I already have searchstatus add on installed in my browser through which I can check dofollow and nofollow links of a website. Still it was a really helpful post to find good blogs to leave comment. Thanks for sharing how to find sites with do follow backlinks. I’ve been finding them through a google search by searching for do follow backlinks with internet marketing and make money online keywords. Hi Khasrang, These are my tried and tested methods thus I am 100% sure that will help you to make some good backlinks for you. Do follow plugin is really a great asset for a blogger, i just started using it. and thanks really for sharing the awesome Google query operators, they are really the best shortcut way to find comment luv blogs. I love binaryquote for the valueable tricks. Excellent Post ! It’s just awesome. Thanks Bharath for this wonderful feedback and keep in touch for such wonderful articles. Hi Bhanu. Backlink from a relevant post/forum topic add value to your website and always send targeted traffic to your website, AND on the top of it, it is also a ranking factor in major search engine. Thanks rakesh, but its hard to find comment luv on google. Link building is very very important aspect in SEO. But we must have a balance between Do-follow and no-follow backlinks. You above idea to find dofollow backlinks enabled websites is really going to help a lot for my link building process. Commenting in do follow blogs really speed up the ranking of our blog in search engines and your guide is awesome to find useful list of do follow blogs. Thanks. Hi gautam, Nice to see you here. very informative blog post.I will use this trick. I’ve tried 2 of the queries above and it seems like it does not work any more ?! any ideas ? Thanks for your article.your article is very nice and gives many benefits about many Important Topic. you can also use dropmylink tool to find commentluv blogs easily. I am really happy to know. Keep in touch for more such wonderful ideas. hi Rakesh, thanks for the great method you share, but do you have a recommended tools for search a dofollow links? i mean i want to search the dofollow links with auto way, and its okay to pay the tools. and i don’t want to use the service from the people offer, i just want to search by myself, so i know what i want. Thanks Rakesh, the no-follow or dofollow extension is for firefox or google chrome? and thank you so much for providing all these ideas…. This is Really Great way to find Dofollow commentluv Enabled Blogs with the help of SEO Quake tool i had been using this tool but there was problem in finding with Quotations i typed in google “quotations finding for dofollow blogs” so i found out your informative Blog Post Which really helped me to find using Quotations too. Dear Junaid, Have you checked my new WordPress theme for Food Blogger. Waiting for your ideas on this theme. Great ways to get backlinks. I was searching for comment enabled site to make high quality backlinks. Your article helped me to make 2 backlinks thank you for sharing this article. I will recommend every backlink seeks to come to your website. Thank you. thanks for sharing such an informative post.This post really helped me find do follow links. Great post, thanks for this! SEOQuake toolbar is so useful even beyond the purpose mentioned here. Hi.. Nice to see this helpful post. Because i was searching for a Toolbar which shows Page rank also in Search Result . So, Thanks to Share it. Welcome siddharth, keep in touch for more updates. nice way to get quality backlinks,thanx for sharing great article. That’s so kind bro, i will try to be in touch of this great blog. Guys like you who appreciate one other are great. Thanks bro. I wish your blog do well in future. Not only me but everyone who is in the online marketing know the importance of dofollow blogs. Dofollow blogs are quite necessary in order to increase the search engine ranking of our sites but it’s really hard to find. I always search over the web for the ways through which i can accumulate more and more dofollow blogs. And this you gave me few more ways. Thanks for sharing these great tips of finding dofollow blogs. I hope all readers of this site will be benefited by these tips. You are most welcome vipin. Keep in touch for such wonderful updates. It was a great article and the tool which you have mentioned in the article i.e “seoquake” is an awesome tool.It reduces a lot of time for me. I’d read and tried most of the ways other blogger suggested how to find do follow blog to follow , but the searching term you shared with us are the best , thanks a lot , that’s exactly what i want . What a great tool, now I can directly find out alexa rank, blog PR and many more things. No need of alexa toolbar. Thanks for the article. Keep Sharing, I like Googe search one. Great idea Rakesh, many thanks for the tips. SEO quake looks brill. CommentLuv enabled blogs are a good source of driving traffic to a website and getting dofollow links from CommentLuv enabled blogs is pretty awesome. Thanks. As am a regular reader of your post, I already installed SEOquake toolbar on my browser. Sure, will follow your ways to find the dofollow commentluv enabled blogs. absolutely brilliant post my dear friend.Do follow add on’s for firefox is a great tool.One to two months back i was using it for identifing do follow links and it was really helpful and effective.I use moz tool bar for finding page rank and alexa rank of the blog.Seo quake toolbar seems to be a good toolbar.I would like to try it.Thanks bro for sharing some brilliant tips on tools which makes blogging easy. I think blog commenting is not so good technique to gain traffic! I preffer guest blogging cause you built better quality links and you gain more permanent audiance! i searched with the google terms you mentioned above, but i couldn’t locate the website with commentluv. i just want some help with it. Have you applied the steps mentioned in the article? You are most welcome sanjay.Do not forget to subscribe my email to get such awesome post in your email. Having both dofollow and nofollow links are important to get ranking because if a website attains only dofollow backlinks, search engines are likely to mark it as spam. Naturally, it will look specious. Search engines does not want you to build backlinks for yourself. They wants people or traffic to build backlink on behalf of you. I didn’t know that Google Search Engine can be used as a tool to find dofollow blogs to comment. Good to know that you like this article amal rafeeq. Thank you Rakesh Kumar. Its interesting and very informative. 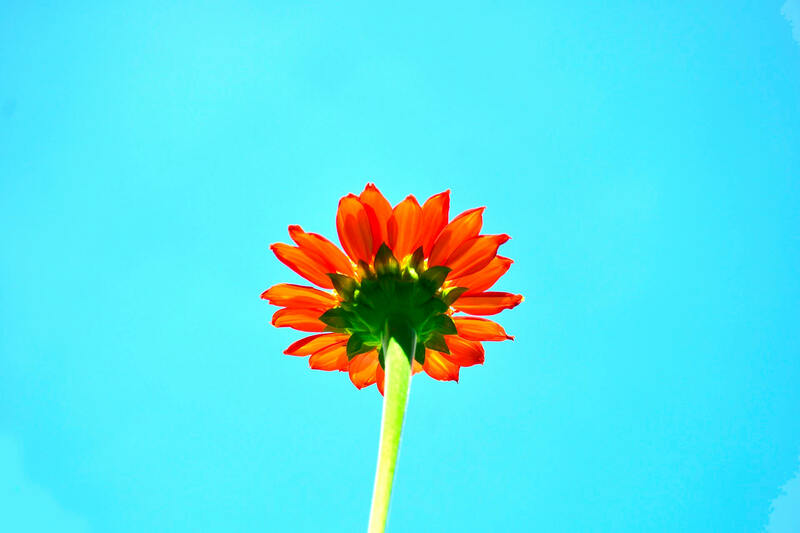 But i have a small doubt.. blog commenting really helpful for ranking…it really works? It really works and it is one of the tried and tested method to bring lots of targeted traffic to your site. But commenting trick must be known to you. Excellent article man. You are really great. It was a great journey to your blog from last 1 week.Finally the time to thank you and appreciate your awesome works.You posts are really unique.Thanks a lot. You have written a great post and I have also tried these tips provided by you, but have been unsuccessful in my search. Please post a list of dofollow Sports blogs,if you could. I have been looking for the same for long time now…. It’s actually a great and helpful piece of info. I am satisfied that you simply shared this helpful info with us. Please stay us up to date like this. Thank you for sharing. I’m the beginner, I think this is good resource for me to build link and for good progress and purposes as well. I think I will download add-on which you have suggested before. I really big thanks for your information. This is a great post! 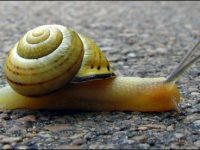 I’ve gone through several forums and websites looking for a good explanation to help me sort out an efficient process to find and utilize do-follow blogs. Your posts are helping me tremendously! Thank you! Is commentLuv can’t show us the notification whether the comment is being sent ? So after we click the Post Comment we can get such a notification (your comment will be moderated), to make sure that the post is sent. keep bloging and thank you..
What awesome strategies…I have SO much to learn. I’m going to work on some now, I really need traffic! Thanks! You are most welcome Michelle. Hope these tricks will help you to place links in desired positions very easily. Thanks for the tips and suggestions. We need all the support and advice possible from experienced and successful persons like yourself. I really appreciate your generosity, and I definitely will use your tips to make the most of my backinking strategies. I’ve added CommentLuv to my blog. Are you sure google won’t consider it as a link exchange strategy ? No it has not been considered as link exchange as it seems natural. Thanks for the great tips. I will put them into action immediately, and hopefully get more traffic to my site! And do not forget to update us ANITA. Thanks for your kind words, hope to see you soon. Hey i like your article about how to find high quality dofollow backlinks. This is a great post! The search queries are working wonderfully! Good job Rakesh! Now if there was a way to exclude certain PR levels, ahh that would be neat! Dear Renee, right now i do not know how to exclude this from the search results, but will try to update as soon as i will be able to find out the solution. Thanks for your valuable feedback. rakesh thank you for the info, that’s interesting. I never noticed before what is dofollow and nofollow .. after knowing this I became more clear .. Will you come back to my blog this simple? I am sorry to point out but the Color codes in the DoFollow plugin should be vice versa. Red for NoFollow and Blue for DoFollow. After reading your article I will definitely try this method. I find it very valuable and useful tips to all of us. I’m glad I found your site this will help me in any way to get backlinks. Hi Rakesh, Thanks to giving me the right direction. now i can concentrate to increase my page rank. Thanks for the list of queries. I was already running the 1st 2 sources….now I added the queries to my list. thanks again. Comment Luv blogs are my best friend! I also find loads of tremendous content on most Comment Luv blogs I stumble upon so that is another plus. When it comes to widgets, CommentLuv really works best for my Site. Such a great apps and it help me to attract more visitors. Thanks marc Law for this valuable feedback on commentluv. I am delighted to know that you like this article. I am using Disqus in my blog. Do you think I can use both Disqus and Commentluv together? Disqus is for monetary benefit to us coz it shows related ads. Which one would be better? I would never ever recommend to use disqus for commenting and most blogger try to refrain them-self to use disqus as it does not allow them to insert their links thus will decrease the interaction with the readers, that will lead you to lesser readers and more bounce rate. Another issue with it is low cpc. CommentingLuv on the other hand encourage to add comment. if you want to earn some money through your blog then try to get google adsense for your blog and consider direct ad publishers, affiliate etc. If I want to search sports blogs for blog commenting so how can I find. I have searched by following your query but I didn’t find it, so please guide me. Nobody will write sports blog for commenting, instead of that try to name the specific sports name. Suppose you want to write comment on football blog then your query might be like this “football”+”leave your reply” or “football”+”speak to your mind” something like that. The idea is how blog encourage readers to write comment on their blog. Thank you so much for the good tips, I just installed the plugins..By the time do you have any free software to find do-dollow blogs? Could you please email me if you have any information…wapsmadusanka@gmail.com…. That is a paid software – are you ready to purchase that paid software, Since acquiring only do-follow link for your site make search engine..suspicious and they can mark your site as spam. So it is advised, acquire links from everywhere..no-follow also. Commentluv really works best especially for those sites who aim for visitors. It could be one of the advantages in page ranking. The tools you’ve listed above have completely changed the way I look at back-linking and how to go about it. It has certainly saved me a lot of time. However, I noticed that I went through a phase of being obsessed with dofolow blogs. I think dofollow blogs are still great, but I focus less on that now and more on providing value-add comments. I find this more ‘normal’ whether it is dofollow or nofollow. But anyways, thanks for pointing out the tools above. If you haven’t installed them, give it a try. It is nice tips all around but i an confused with the color. I have read many seo article where claimed dofollow color is light blue and pink for nofollow. Pls clear me what is the real. Good post.Thank you…This is free way to get quality backlink..
Commentluv really a big help and a great widget. I can observe my site gain more traffic since the day I installed it. All the tips are really good,I was just checking the trick to find commentluv blog and find your blog. you are doing a good job. Nice stuff for every seo people. Do Follow list is always great medium to optimize site. I will be happy to read your all post. Dear suraj, I always said” A tool is as intelligent as its user” . Follow these tricks and place your comments on high quality blogs with your desired links, and please do not forget to update me. i am waiting for your response. Very useful information. didnt know about this features on Firefox thank you. You are most welcome my dear friend. Thanks for stopping by. Never heard about SEO Quake before until I figure out from your valuable post, thanks for letting us know about this. nice idea. thanks for sharing with us. its very helpful for link bulding. Glad to know rohith that you like the idea discussed in this article. Hope to see you very soon. About the colored indication of ‘nodofollow’ plugin, isn’t the blue color indicates ‘do follow’ and the pink color the other way? Actually seoquake and do follow plugin is already used by me from some days ago.but using those we can find comment luv plugin.I did not the tricks u used for this.So i would try this to explore more cumment luv plugin. finally a clear and easy to follow method on how to find high pr do-follow blogs. thanks!!! Hi bro thanks for telling me on how to find DoFollow CommentLuv Blog to comment and get backlinks. I will visit your site often. Keep up the good work. Sometimes I sit around reading things I’m already familiar with scratching my head after thinking, why did I just read that. Not the case here I use Google chrome and use a few plugins not listen but WOW. S.E.O. Quake is AMAZING. Thank you for turning me on to this tool. As you mention in the snap shot as no follow and do follow that is wrong. Blue color is for “Do follow” and Orange color is for “No follow” Kindly check by using (NoDoFollow) 1.1 for fire fox add ons. I have been using SEOQuake toolbar. But relied mostly on lists to find dofollow blogs. It never occurred to me that I could use search queries to find CommentLuv dofollow blogs. This new technique has made my work considerably easier and saved me a lot of time. Thanks for sharing. I am delighted to know that my piece of work is useful. Hope to see you very soon. This is really an excellent blog.We often use to write some comment in any kind of blogs.So for this its really gonna help us to give comment.Thanks for the information. I was really having trouble finding blogs with specific requirements.Nice job. Glad to know that you find this piece of information useful. Thanks for your time to give your valuable feedback on this article. Hope to see you very soon. Thanks for the information. I was really having trouble finding blogs with specific requirements. Now after going through your article i am at ease in finding blogs. Glad to know that you find my article useful. Thanks for your time to send your valuable feedback, hope to see you very soon. Nice tips..It is very useful. I think the blue color is do follow link and the red is no follow. You blog is no follow. Since, lots of people start abusing this beautiful feature, thus forced me to withdraw -do follow status. This is a nice list of dofollow blogs but when i tried them most of them are noffollow by the way thanks for sharing with us. Nice post friend. I personally use SEO Quake and its a really good tool for finding out page ranks. The mentioning about keyword variations was helpful and i guess it will help many others as well. Keep up the good work. It is necessary for your site to get high quality backlinks to expand and grow. Keep strooling us with these updates thanks Rakesh. Very informative Rakesh. I use the SEO Quake Toolbar to search for the page rank, Age and source. I am glad that i could pick some useful tips from your article,that i was totally unaware off. Interesting. Thank you for sharing these tips. I’ll make sure to use them. I use the SEO Quake Toolbar. This provides me great help while I search for the page rank, alexa ranking and many more. I am glad that it has found a place in the list. Thanks for this advice. I have used these tools in finding out do-follow blogs before, and they are great tools. I am just wondering, leaving comments in no-follow or do-follow blogs do matter now because of the new google panda updates? I hope what we do still make sense. I am delighted to know that you find this information useful for yourself. Try to register yourself on Gravatar to get maximum impact on your site from comments. Hope to see you very soon. Great Work man … Helping me in learning the basics of SEO .. Also so easy to understand..
Do –Follow plugin for Firefox and Do-follow plugin for Google Chrome works like charm for me. Thanks a lot for sharing them here. You are welcome ajay, these plugin are always there in the repository. Thanks for your time to share your view here.hope to see you very soon. CommentLuv is a great tool that allow bloggers to help each other and interact more. As long as commentors are responsible enough to leave quality comments, it should be a win-win situation for both parties. I use SEO Quake too and I have always maximized the site analysis that it does. Amazing plugin. Excellent strategy for finding high quality dofollow commentluv enabled blogs! I’ve been using it for quite some time. Works really well. Thanks adam for your positive feedback on this strategy. Hope to see you very soon. Thanks for sharing this great add on which work wonderful for my SEO plan. Getting do follow back link for a website is crucial thing and most of the time when we make comment we are not aware about the do follow or no follow or it is time consuming to go and check in the source for the follow and no follow this is really great add on i have just downloaded it will same my time. I am delighted to know that you find this piece of information useful.Thanks for your time to visit and comment. Hope to see you very soon. I’m glad to become a visitor of this everlasting blog page ! , value it for that info! . Commentluv is a great plugin. It is beneficial in 2 ways. At first it helps to get some good quality backlinks from some good sites. Another thing is that it will help us to generate some interest among the readers of our site if we have regularly posted comments on our site and a discussion is going on in your site. This is the reason we have installed CommentLuv on our blog. Do not hesitate to place the best link from last 10 posted article. No need to share on facebook or tweet. Its free on my site. Comment luv is simply great tool also realisable for commenting. I tried installing but face many problems can anyone tell me does it support joomla. I tried but failed it is very useful for SEO. I would like to thank you for the efforts you have put in writing this blog wonderful website. Commentuv is only for wordpress, So hard Luck my dear friend. Thanks for your valuable feedback, hope to see you very soon. No Follow links are red not blue. Thanks Kurt for this blunder. Hope to see you very soon. Fascinating tips here, Rakesh. I find it hard often to find commentluv blogs for me to comment on. I also didn’t thought that there are strategies like these you have given. I’m really looking forward for your future tips again. I really find this post helpful. Thanks dear for your kind words, Glad to know that you find this information useful. Thanks to you Dave to sphare time to comment on this article. hope to see you very soon. There are a lots of tricks are available to get your desired results. It is up to us how much we do research to find out our information. Thanks for the post, I think finding comment luv blogs is the best way to do comment backlinking. You are right chris, This way you are making deep linking of your article. it is a win-win situation for all the commenter.